If you have any questions, concerns, tips, ideas, or suggestions please reach out to us! 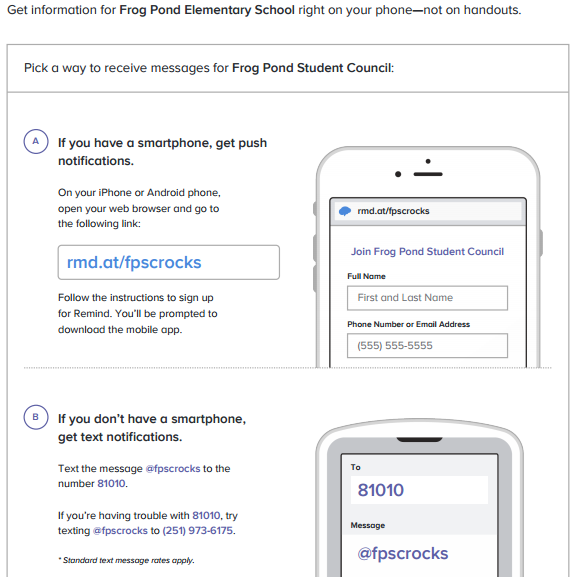 To sign up for free and safe updates sent directly to your cell phone or email join the Frog Pond Student Council Remind group! Just send a text or an email with the information below.